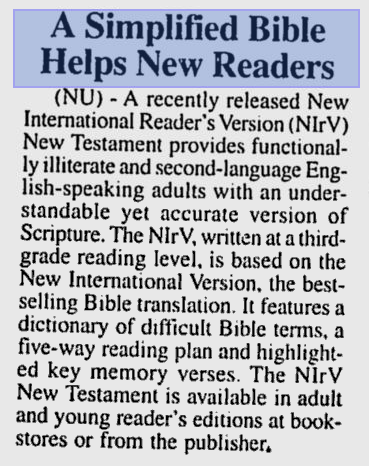 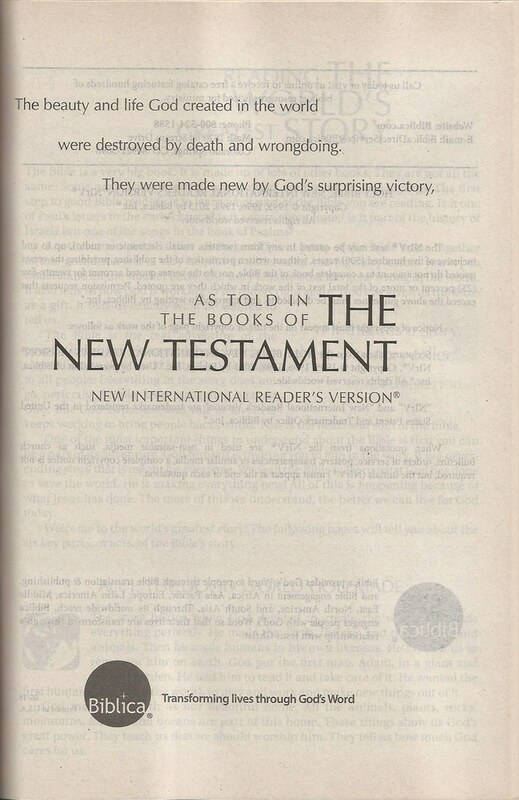 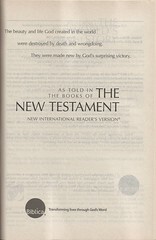 An article about the NIrV New Testament appeared in the December 10, 1995 issue of The Nevada (Missouri) Daily Mail; it may be found here. 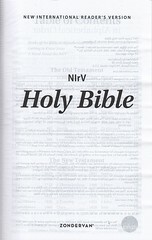 References: Taliaferro CN00066, Taliaferro-EELBV 8470.100. 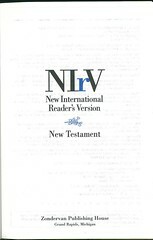 References: Taliaferro CN00066, Taliaferro-EELBV 8470.110. 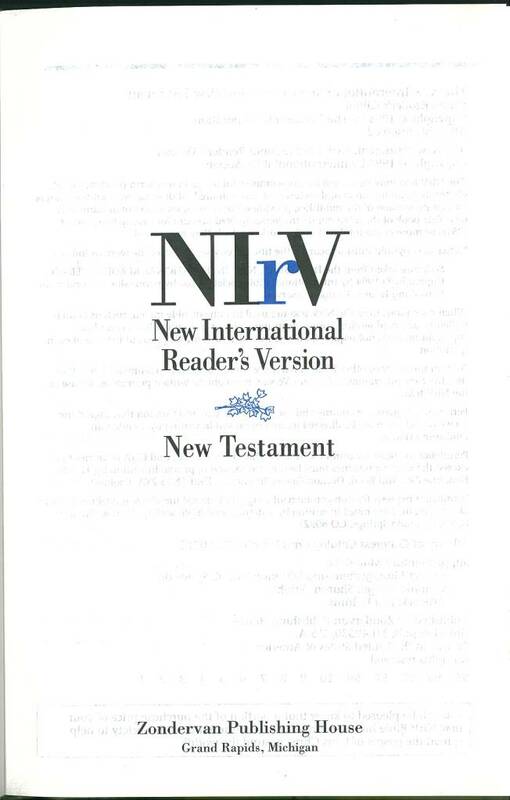 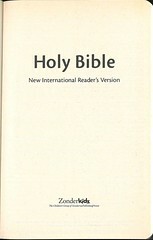 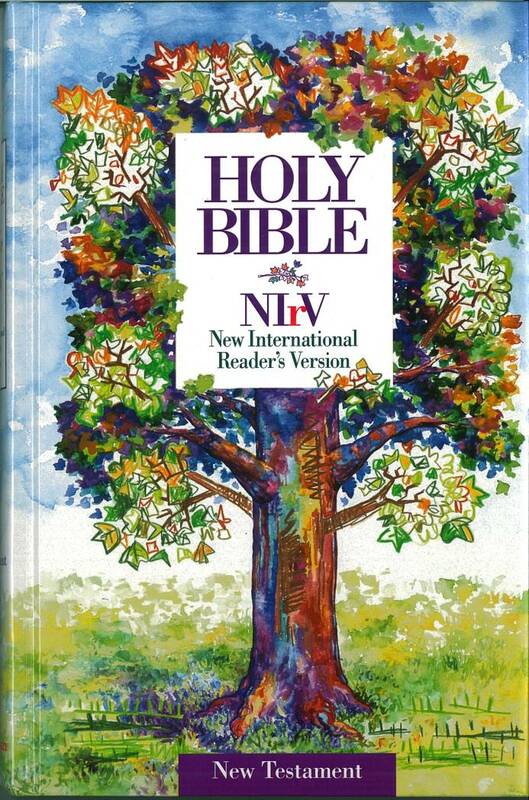 After the controversy over the New International Version - Inclusive Language Edition, the publishers of the New International Reader's Version (NIrV) agreed to revise the NIrV to bring it into line with the treatment of gender in the New International Version. 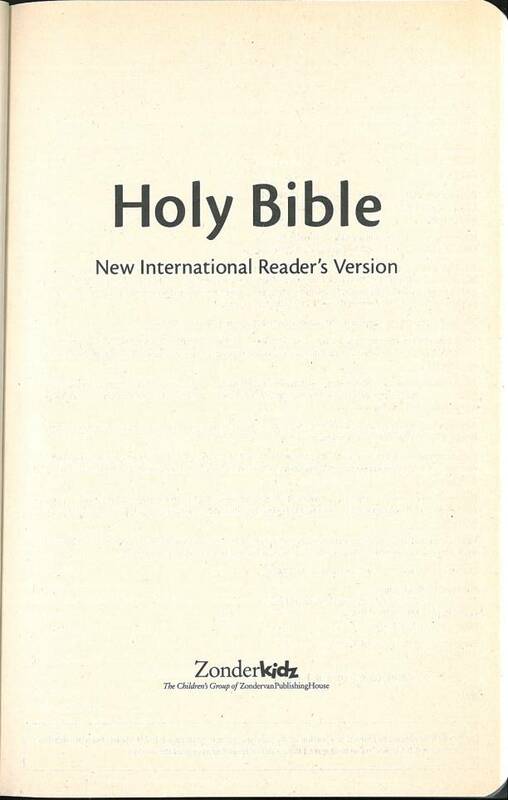 References: Taliaferro CN00066, Taliaferro-EELBV 8470.120. 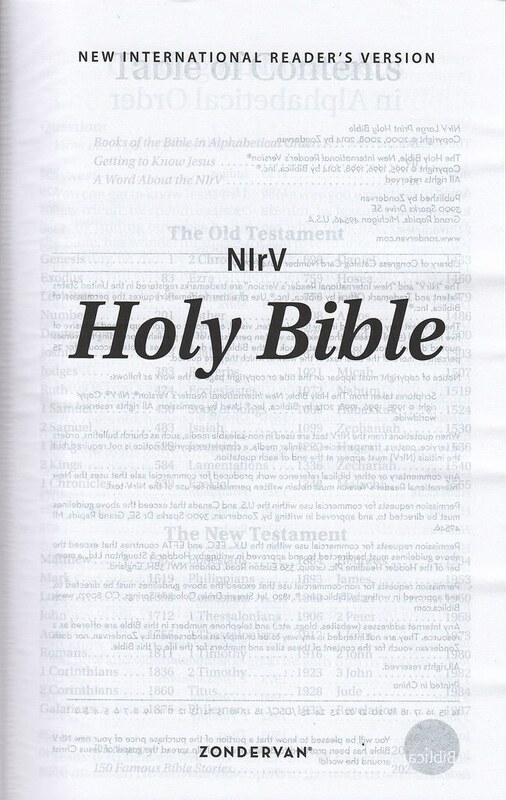 The 2014 revision of the NIrV incorporates changes made to the New International Version in recent years. 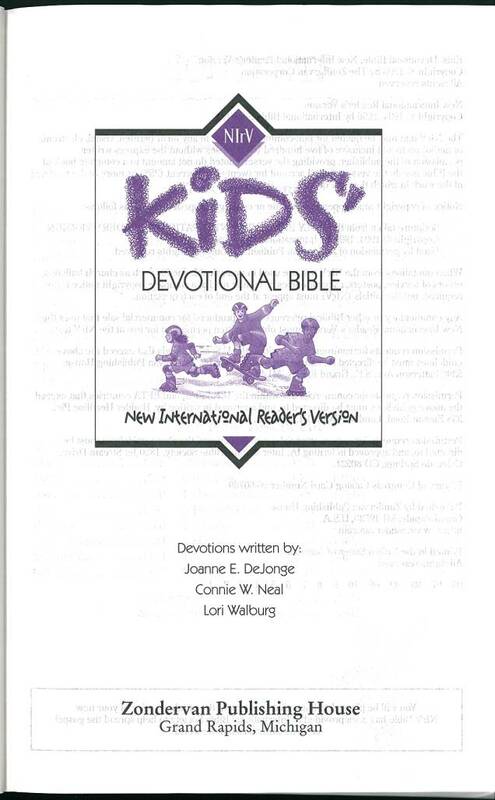 References: See Taliaferro-EELBV 8470, Bradford Taliaferro's The Bible Hunter blog, October 5, 2014. 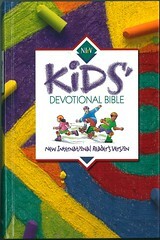 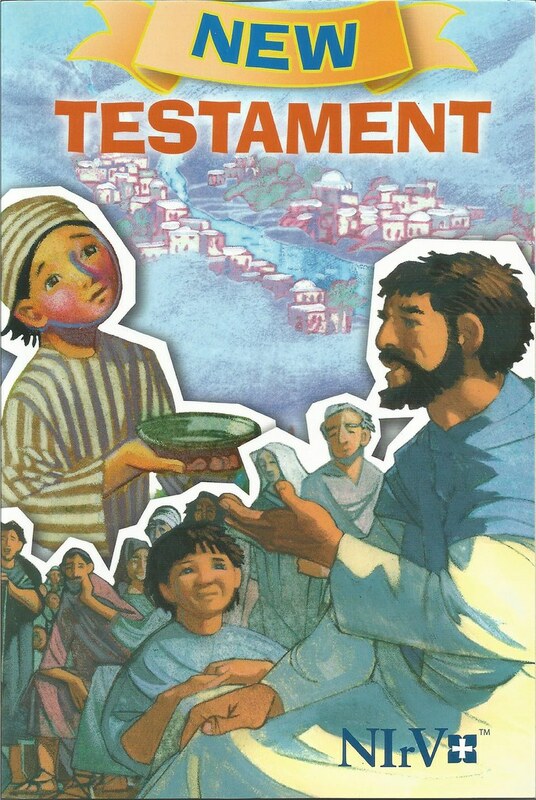 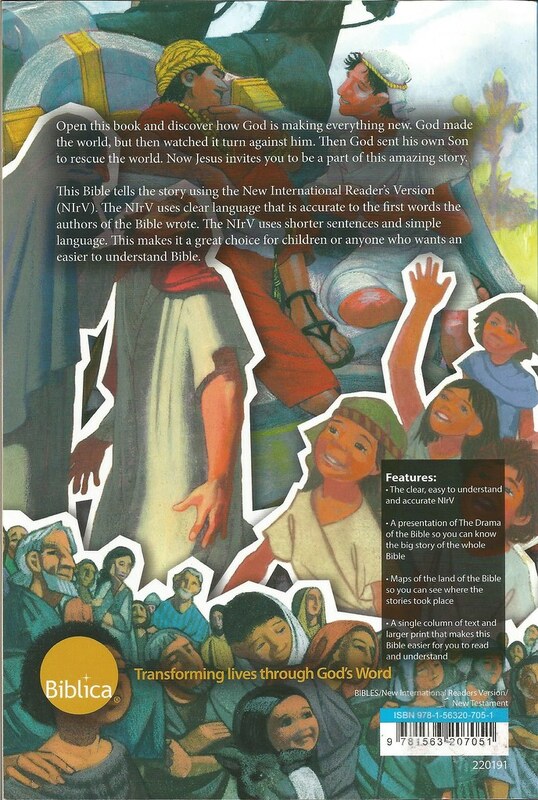 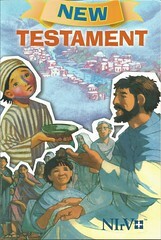 Comments: This is a children's edition with inserts that depict Bible stories; this edition was published in 2013. 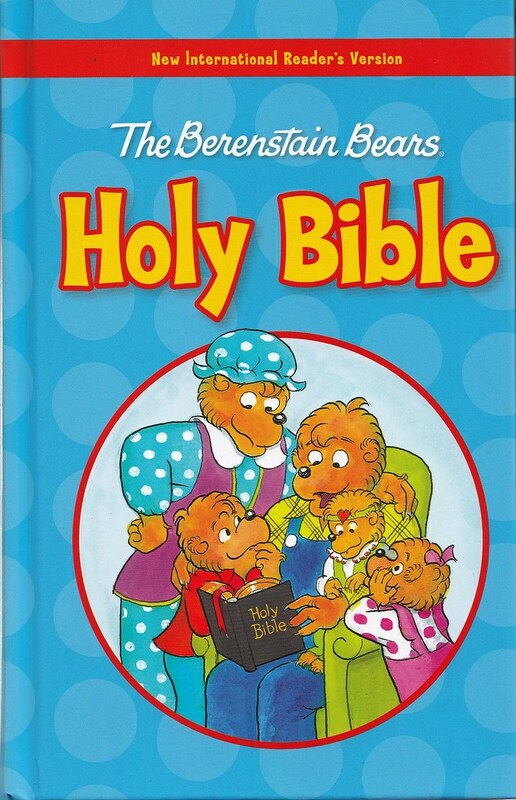 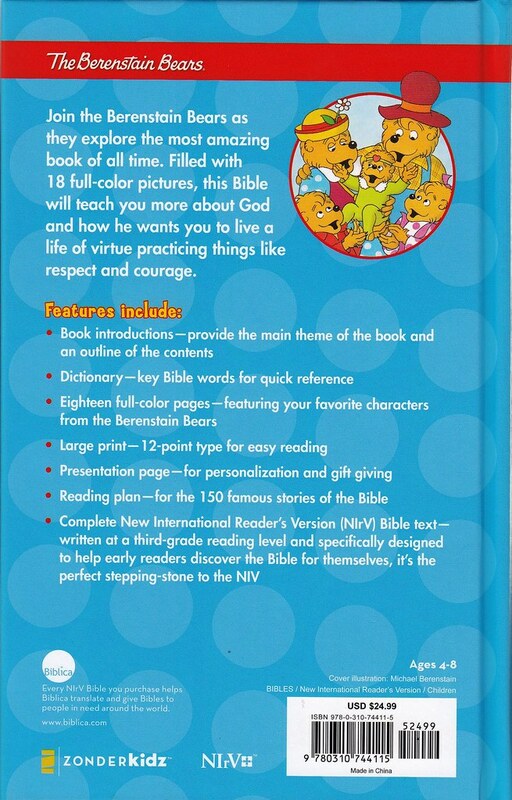 Comments: Besides the text and various helps, the Bible contains glossy inserts that depict various virtues and Bible verses alongside drawings of the Berenstain Bears. 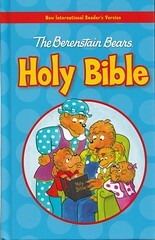 The Berenstain Bears are an adventurous family of bears that live in a tree house. They have been the subject of various children's books since the early 1960s.